Straight from the battlefields on Hoth, young Jedi Luke Skywalker stands atop his shot down speeder. Facing seemingly impossible odds as he gazes upward at an AT-AT Imperial Walker, with its near impenetrable armour, he has a look of calm that only those who are one with the Force would have in this situation. He is a Jedi, he has this situation under control. 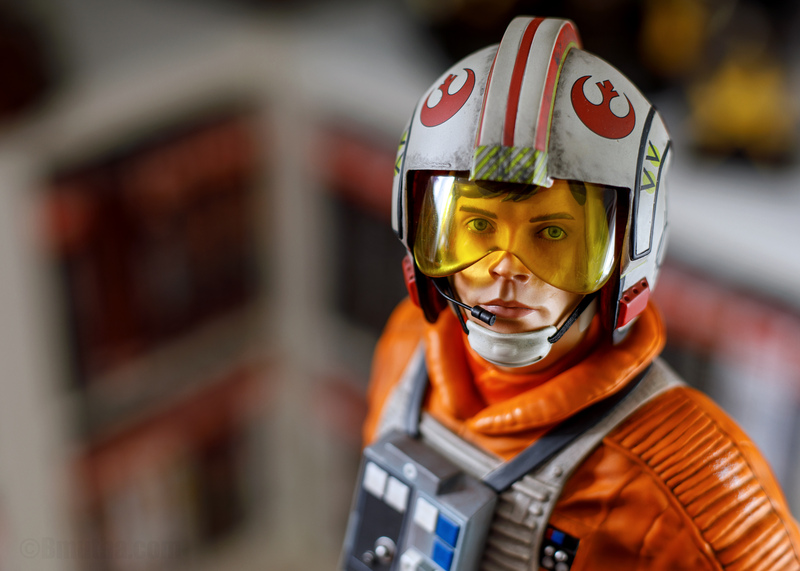 This is XM Studios’ latest release in their Star Wars 1/4 scale statue lineup. 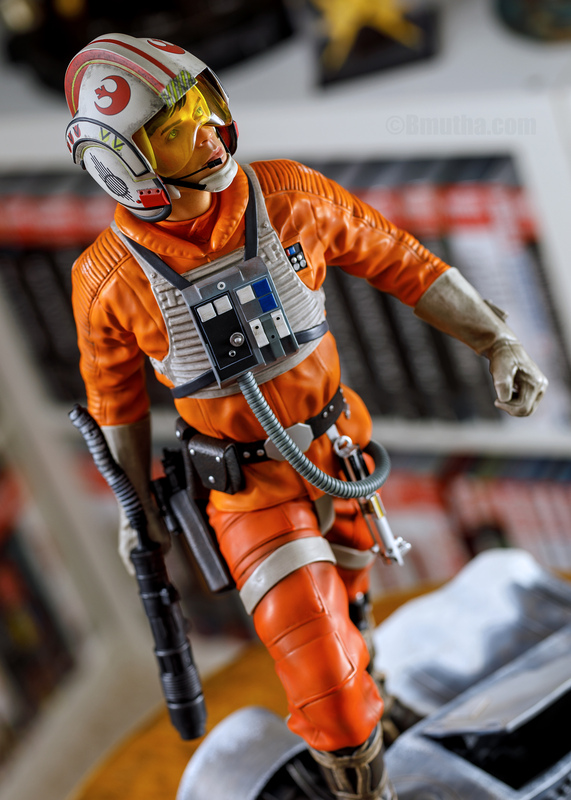 It’s Luke in his signature orange pilot suit, about to single-handedly dismantle a giant Imperial Walker. Enjoy the review, and as always, feel free to leave your comments and questions on the YouTube video, or on this page below. 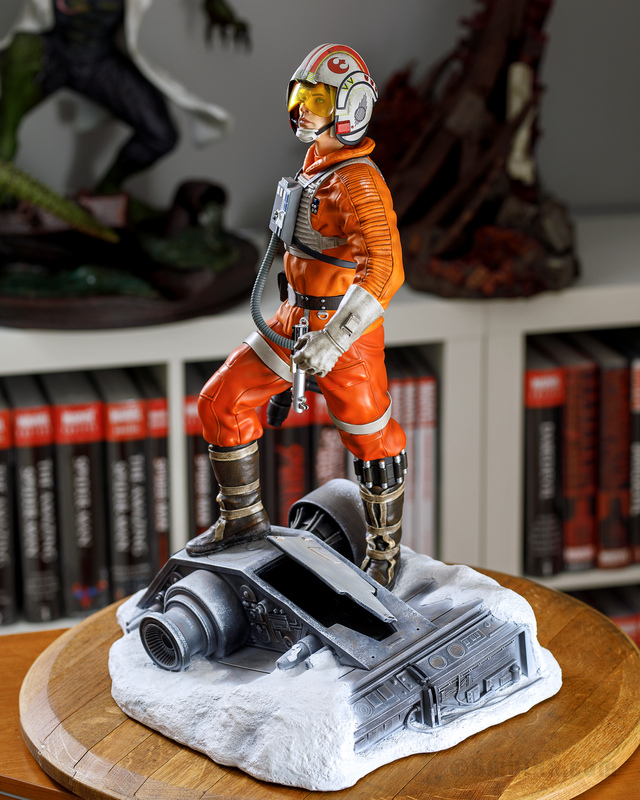 Although this statue does not depict a scene directly from the movie, XM Studios and Studio HIVE have assembled several recognizable images from the Empire Strikes Back movie into this statue. You have the snow which immediately places this scene on Hoth. 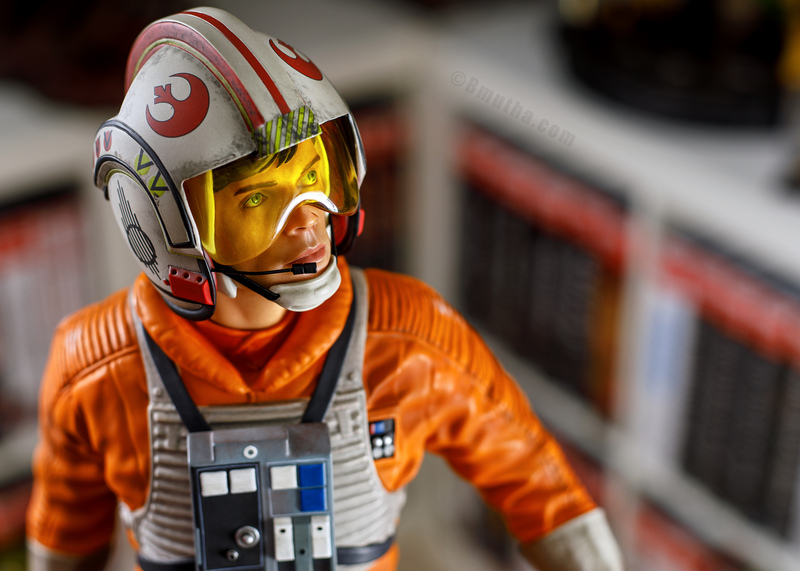 Luke is standing on top of his speeder in his iconic orange flight suit, which places this scene on the front lines of the battle as the Empire conducts its assault on the rebel base. Most importantly, though, is that gaze upward. 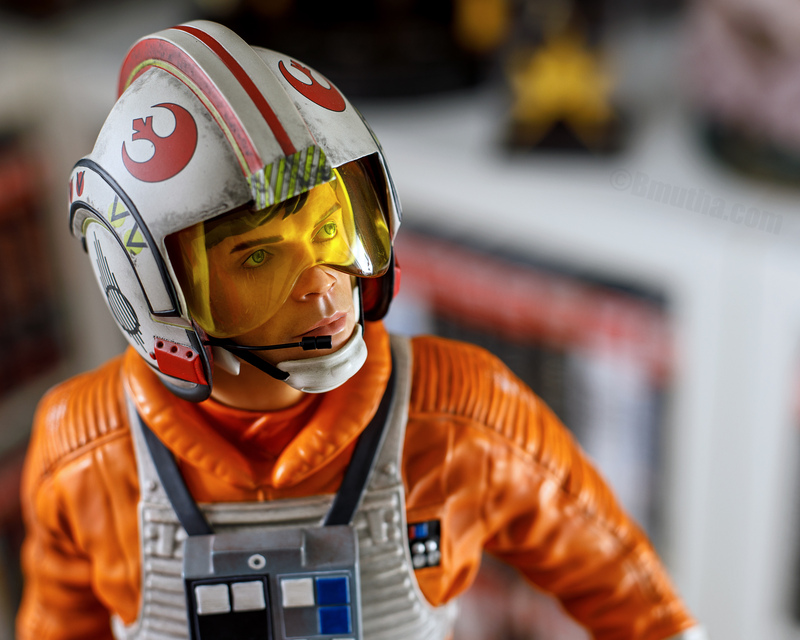 If Luke was staring straight ahead, this would be a fairly generic museum pose statue. 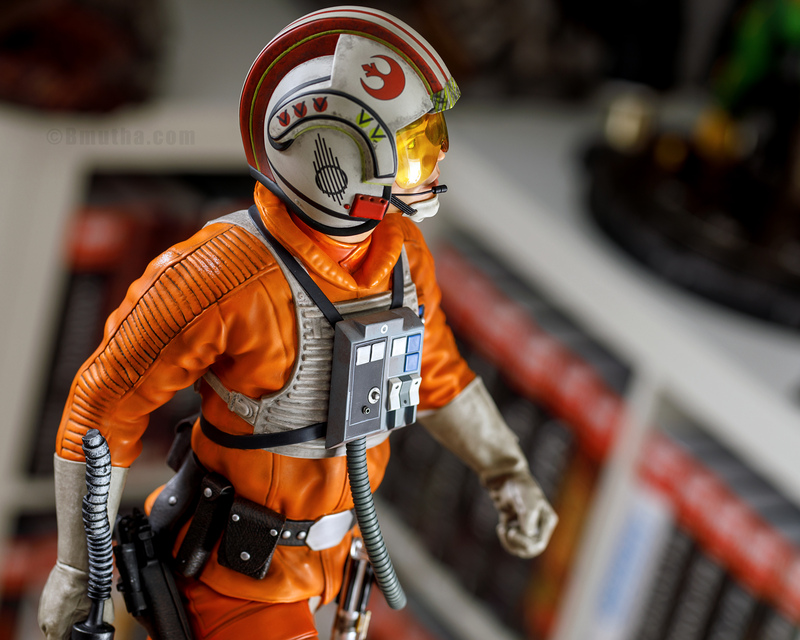 But, having him look upward, I instantly visualize the scene around him…I can almost reach out and touch that Imperial AT-AT walker that must be stomping past. 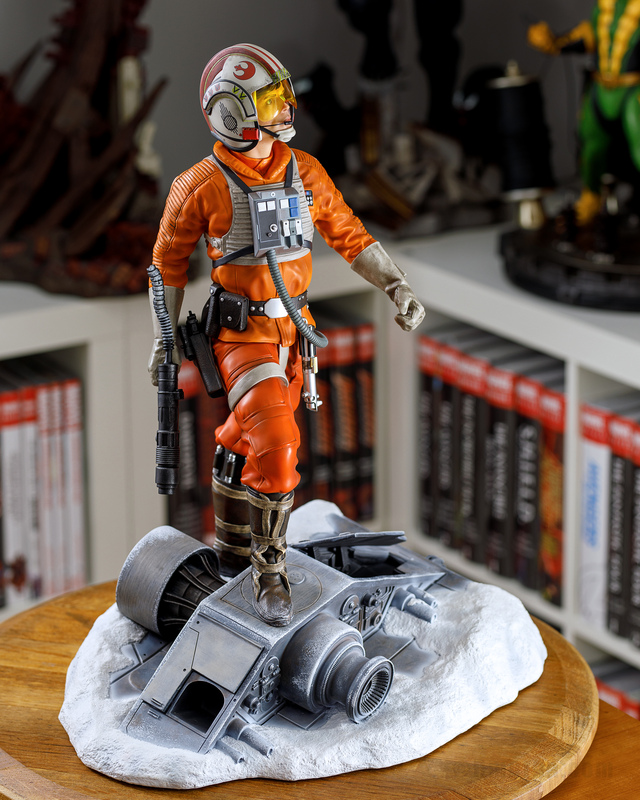 So, design-wise, this statue captures many iconic elements from arguably the best Star Wars film ever made. 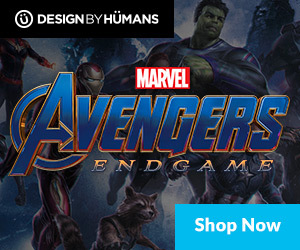 Kudos to XM and HIVE for putting this design together. The sculpt on the piece is also quite well done. 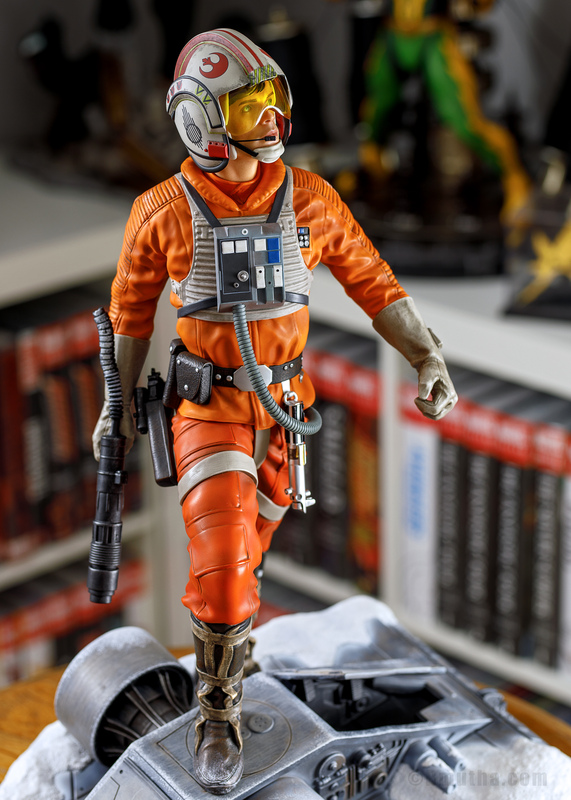 Very nice panel detailing on the speeder (even under the removable panels) and realistic texturing on the boots and belt show some of the attention to detail on the statue. 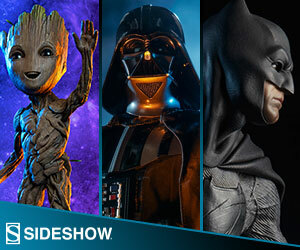 With any movie or TV related collectible, the actor likeness is key. 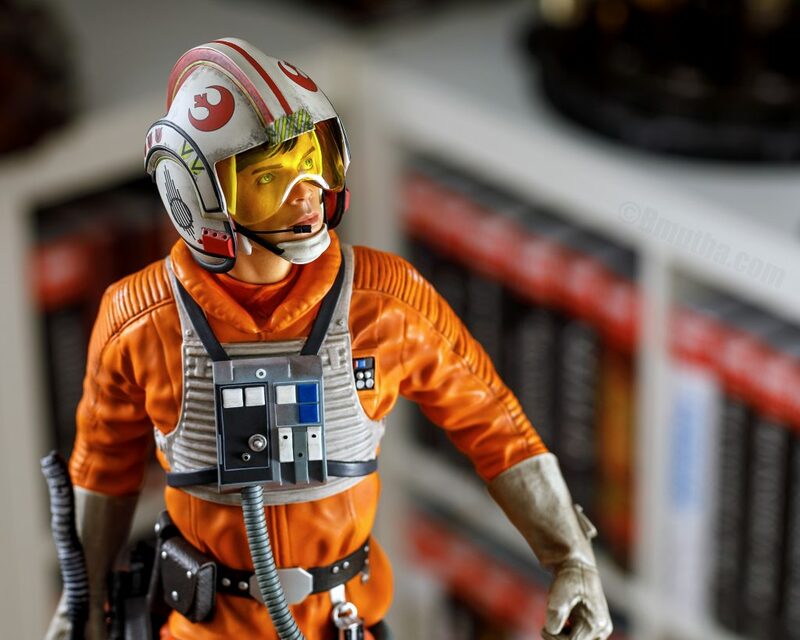 Although not a perfect image, the portrait is immediately recognizable as a young Mark Hamill and should please Star Wars fans. 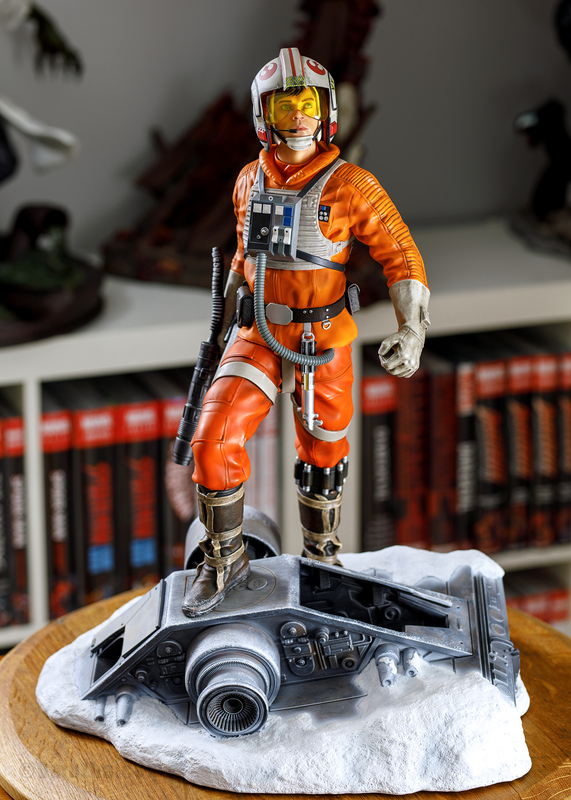 Film accuracy is fairly good throughout the statue; however, eagle-eyed collectors will notice a few discrepancies between this and what is shown on screen. 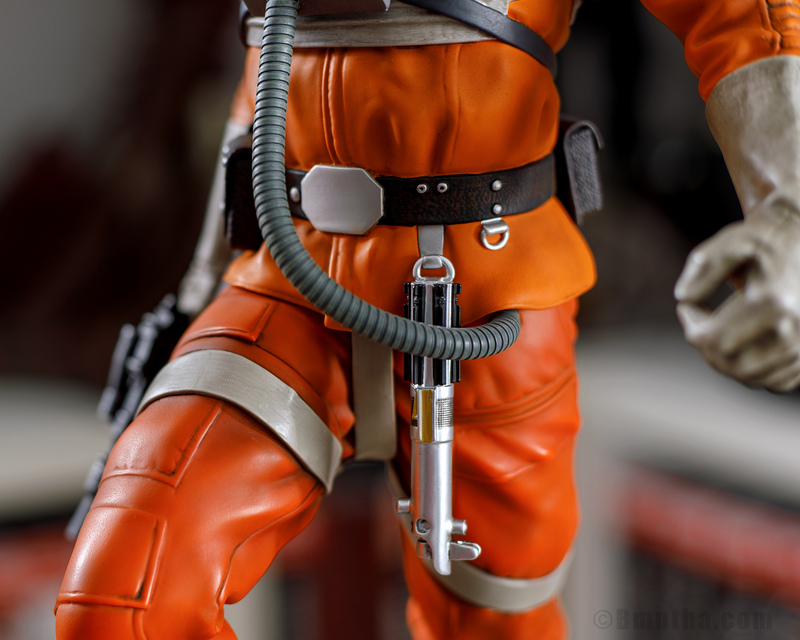 For example, Luke is not wearing a gun holster when he takes down the AT-AT during the assault on Hoth. However, I certainly would not have noticed these differences if I had not watched the scene right before filming the review. So, I believe most fans will be able to forgive these things. As far as paint goes on this statue, XM comes through again with another solid paint production. 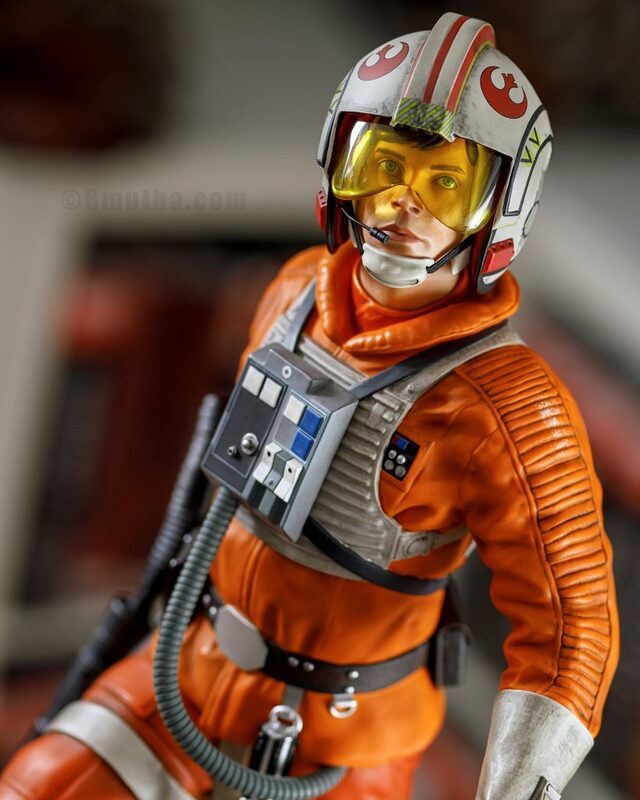 Clean lines, realistic weathering effect throughout the suit, gloves, and helmet, the snow around the soles of his boots, and fairly nice skin tones help bring the figure of Luke to life. 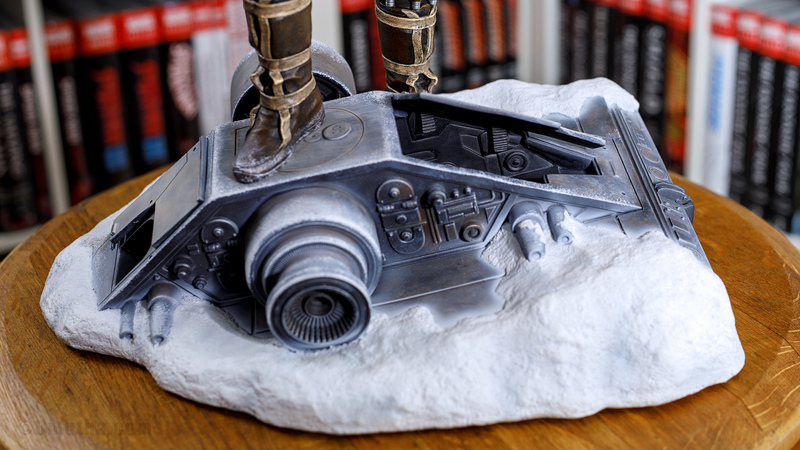 The brushed metallic effect on the speeder is also nicely implemented. The suit even has the two-tone orange going for it (the pants are a slightly different colour than the jacket, just like in the movie). So, I have no real complaints in regards to paint on this statue. The statue is fairly simple to assemble. 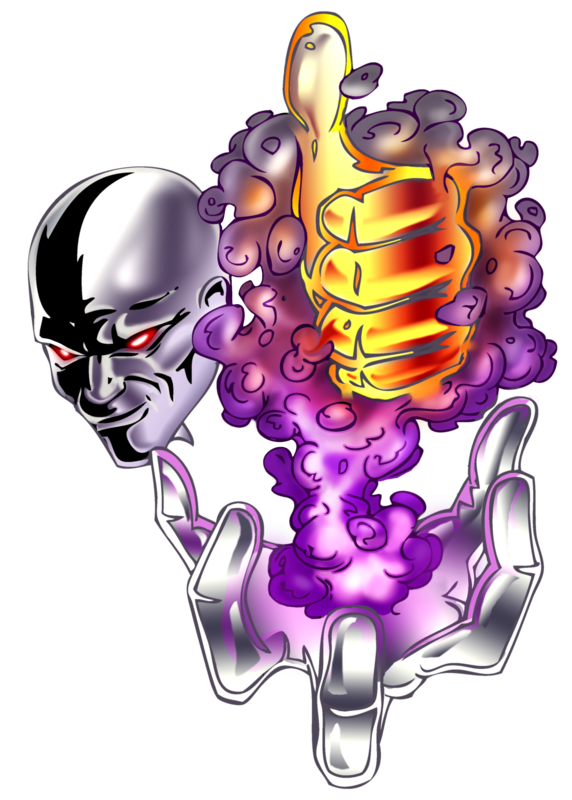 The base and body are each primarily one piece. The left foot has a fairly large metal peg that slots nicely into the base. There is virtually no wobble once the figure is in place. 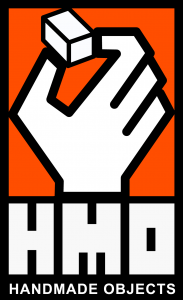 The head and right glove are secured to the body with strong magnets. 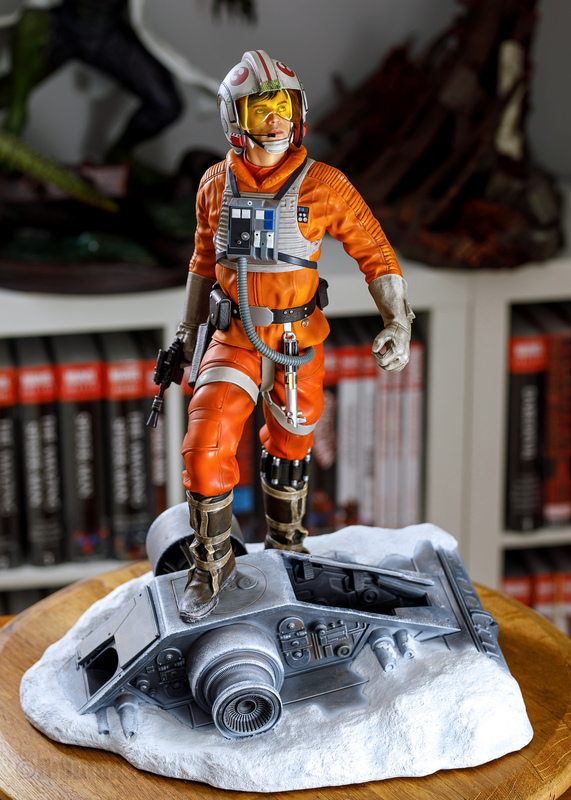 Speaking of the right hand, there are two alternate display options there: you can use the harpoon gun or a more generic blaster hand gun…I think most fans will use the harpoon gun, as it connects directly to the upcoming destruction of the AT-AT. There are also two gun holsters: one empty and one with the aforementioned blaster. 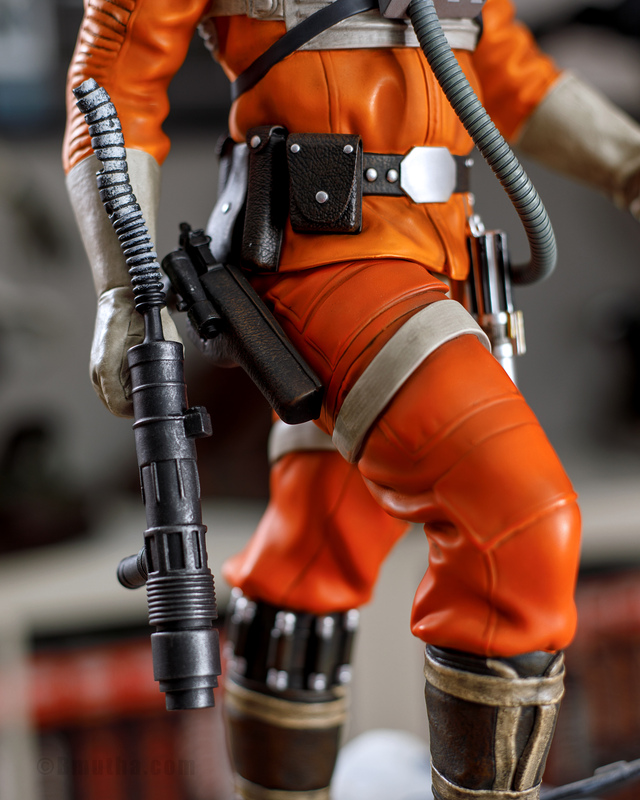 I love this kind of attention to detail…if you place the blaster in hand, you can swap out the holster so the blaster is not shown in two places at once. There are two removable panels on the speeder that also easily drop into place with a magnetic connection. Lastly, and arguably most importantly for a Jedi, is the lightsaber. 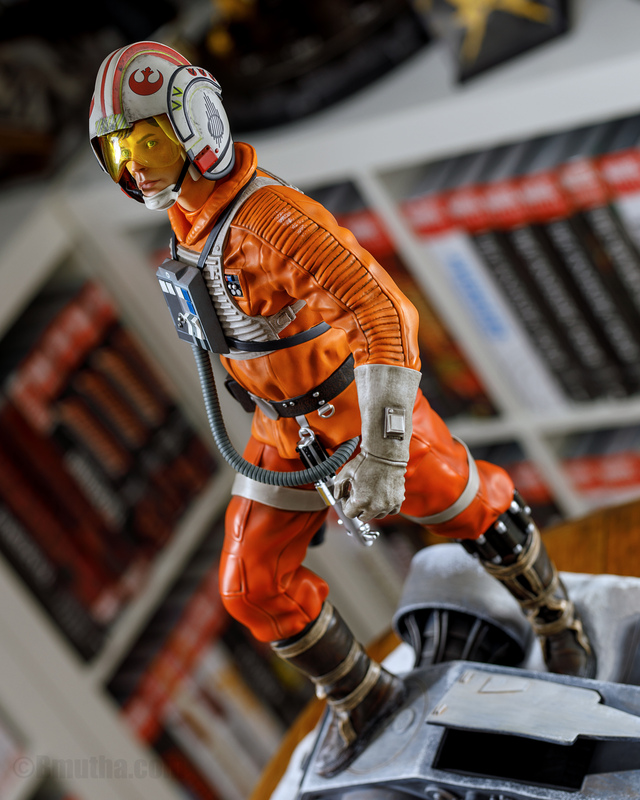 There is a small hook on Luke’s belt where the lightsaber can drop into place…this is only a gravity connection, so be cautious when moving the statue that it does not fall off. My only gripe, and it is a small one, is the visor. It is made of a fairly thick material that tends to distort the face from certain angles. Admittedly, though, this was more of an issue for photographs than it is when the statue is on display. Packaging for the statue is the typical sturdy XM style, keeping your statue safe from harm during transit. The box does come with a photo on the front. which is different from the typical all black box from XM, though. The piece does not come with an art print, so don’t worry when you cannot find one in the box. 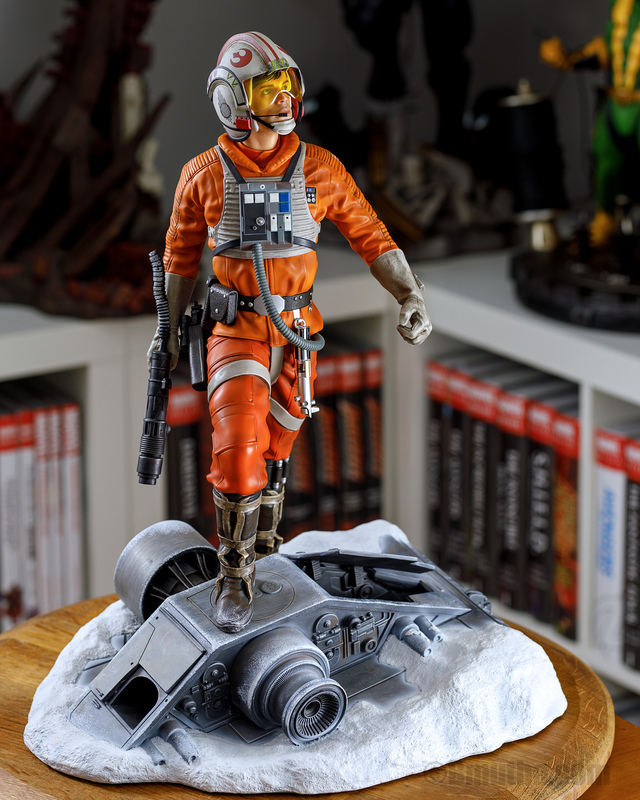 Despite some minor film inaccuracies, I believe this statue to be the best 1/4 scale Luke Skywalker on the market. 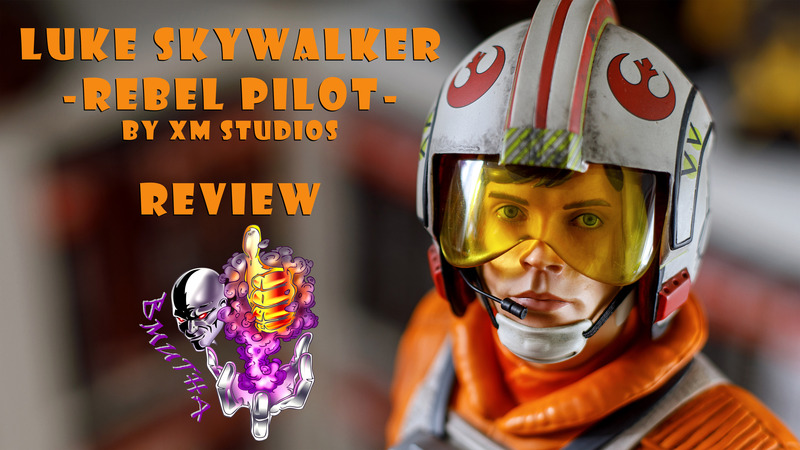 XM Studios has successfully blended several iconic elements from the film into this piece that is sure to please Star Wars fans. As I mentioned, the statue, for me, is much more than the sum of its parts. It is such an iconic and memorable moment from the Star Wars saga that I can instantly visualize all that is going on around Luke at that time…it really is crazy how strong a Force (see what I did there?) nostalgia can be. 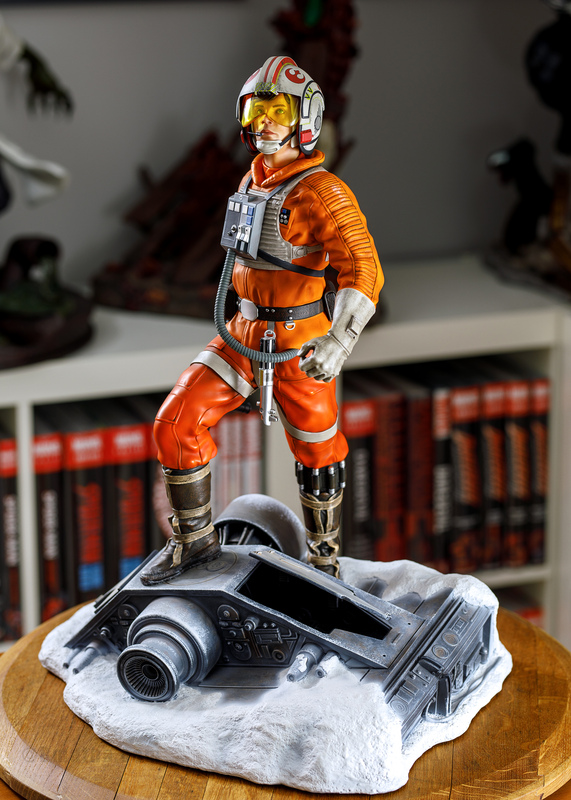 This Luke statue would pair beautifully with the Iron Studios Darth Vader, which also uses a Hoth theme for its base. Thanks for this great review Bmutha; I have really enjoyed it. The clarity and sharpness of your pictures never fail to amaze me and your review was enjoyable and entertaining.